Northern Arizona University have recently opened their Applied Research and Development building on their Flagstaff Campus. The 60,000 sqft project is built around a new storm-water detention basin and receives 20% of its electrical supply from an off site PV installation. 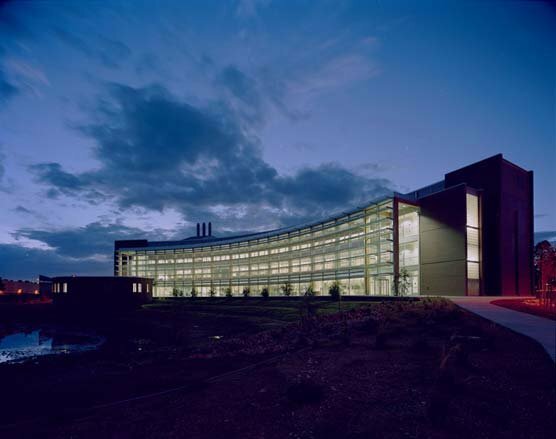 The project has achieved LEED Platinum status and is the 'greenest' building in the state.